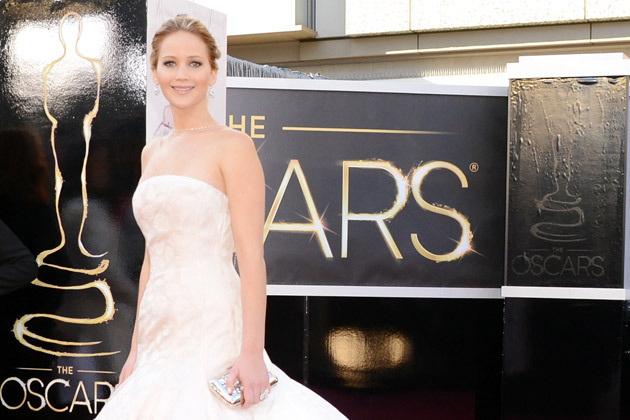 Jennifer Lawrence has a new man in her life. (No it’s not Bradley Cooper) Yes, he may be a bit shorter and smaller than she is; not to mention he is stationary and very…gold. 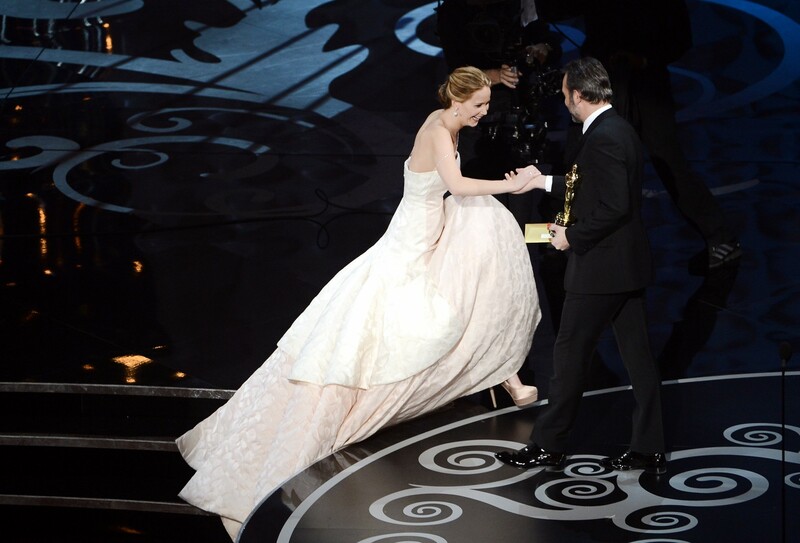 However, I have a feeling Jennifer doesn’t care, because she has Oscar. 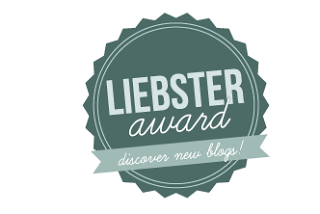 She proudly showed off her “Oscar” which she won for Best Actress in a Leading Role for her work in the book turned movie, Silver Linings Playbook. Lawrence co-starred with Robert DeNiro and Bradley Cooper in the dark comedy. 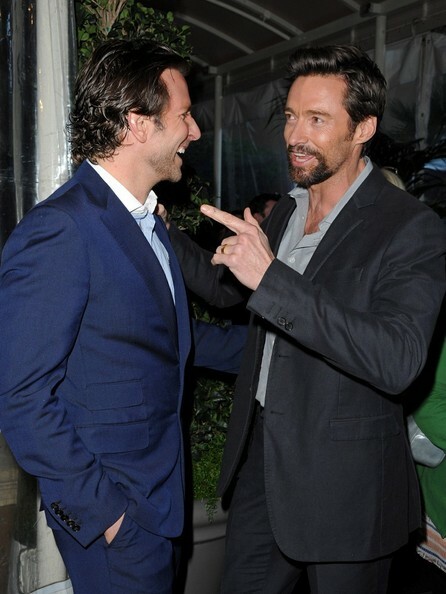 Cooper along with Hugh Jackman came to her aid during the awards show just after Lawrence was named Best Actress; more on that to come.. I am getting ahead of myself. 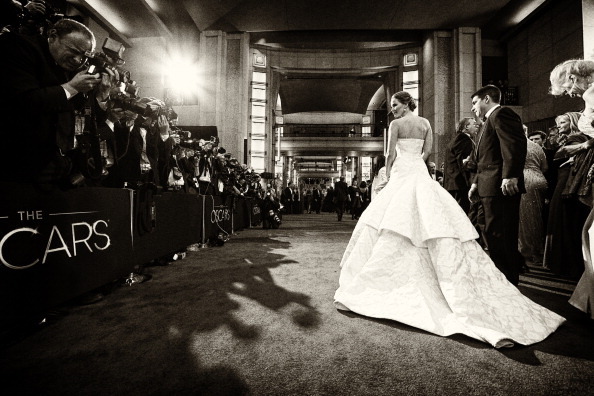 Before Lawrence became an Academy Award winner at just 22 years old, she was truly a vision on the red carpet. Leave it to Rachel Zoe to bring back a vintage trend! The super-stylist looped a Chopard strand over Jennifer Lawrence‘s Dior ensemble and added a Tiffany & Co. necklace to Anne Hathaway‘s Prada column—and for both ladies, she draped the pieces backwards, so that they dangled down their backs. Sitting through the awards show, because they always announce Best Actor and Best Actress at the end of the ceremony, must have been torture for Lawrence. And with that attitude, the 22 year old Best Actress Winner, composed herself and with grace walked onstage to accept her award. 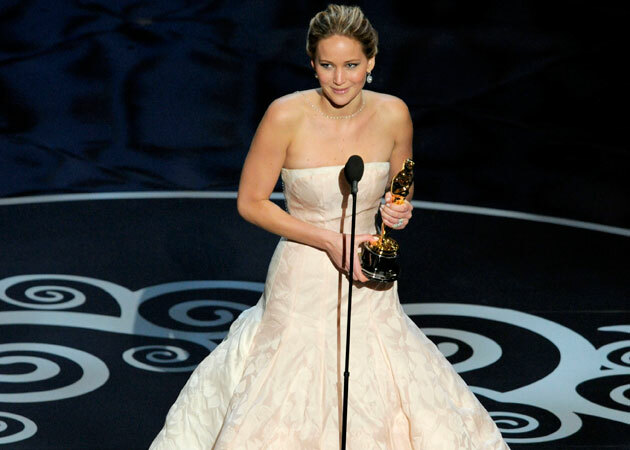 The “Silver Linings Playbook” star won Best Actress at the 85th annual Academy Awards and delivered a stirring, funny and provocative speech while accepting the honor. 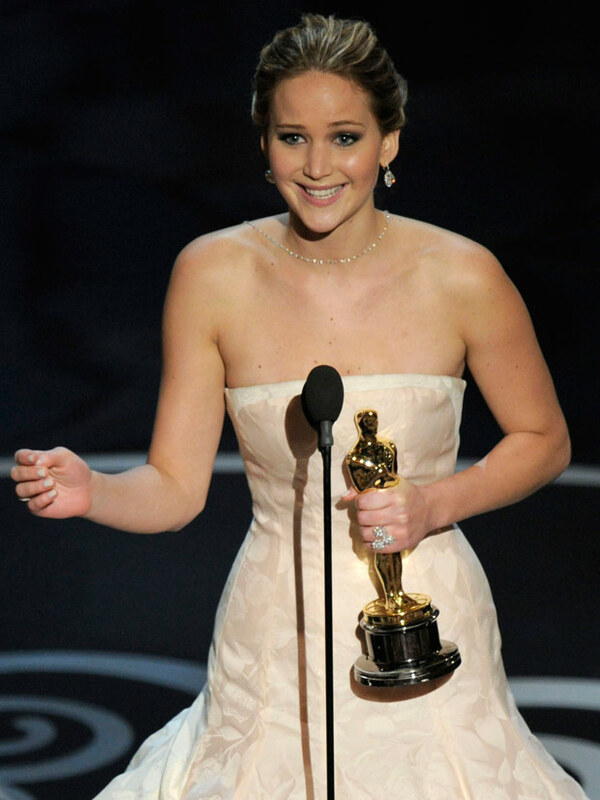 Lawrence, 22, left her mark on awards season by giving a number of memorable interviews and speeches. a sign of hope in an unfortunate or gloomy situation; a bright prospect: Every cloud has a silver lining. Jennifer Lawrence is a silver lining. She has proved that she belongs on Hollywood’s A-List at just 22; is the star of “The Hunger Games” series, and has a bright future ahead of her. As for now, E! 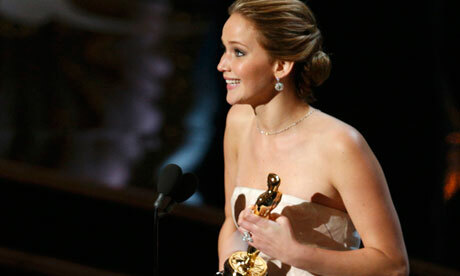 News reported that the Best Actress winner dyed her hair jet black to resume her role as Katniss in the Hunger Games. Congratulations Jennifer, You Deserve it!